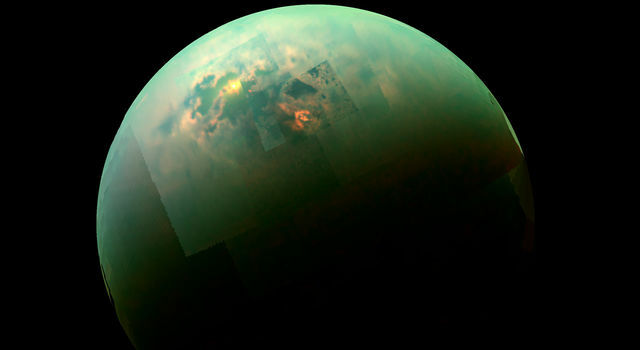 NASA's Cassini spacecraft will take its lowest dip through the hazy atmosphere of Saturn's moon Titan in the early morning of June 21 UTC, which is the evening of June 20 Pacific time. This weekend's flyby, which is the 71st Titan flyby of the mission even though it is known as "T70," takes Cassini 70 kilometers (43 miles) lower than it has ever been at Titan before. Titan's atmosphere applies torque to objects flying through it, much the same way the flow of air would wiggle your hand around if you stuck it outside a moving car window. 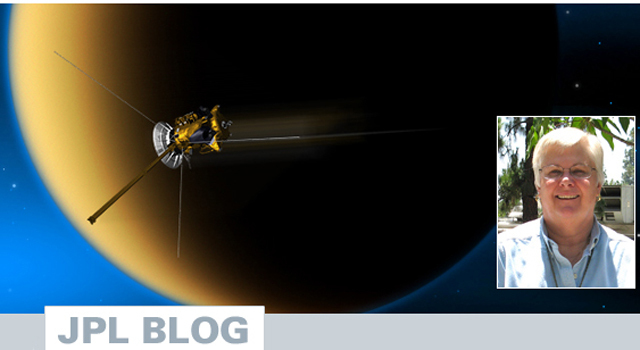 Cassini mission planners and the NASA Engineering and Safety Center in Hampton, Va., have analyzed the torque applied by the atmosphere in detail to make sure the spacecraft can fly safely at an altitude of 880 kilometers (547 miles) above the surface. When engineers calculated the most stable angle for the spacecraft to fly, they found it was almost the same as the angle that would enable Cassini to point its high-gain antenna to Earth. 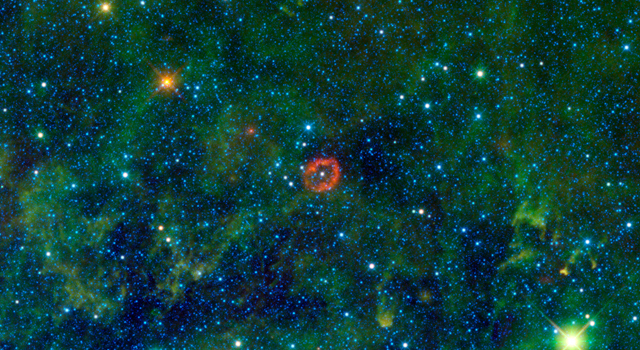 So they cocked the spacecraft a fraction of a degree, enabling them to track the spacecraft in real-time during its closest approach. Thrusters will fire throughout the flyby to maintain pointing automatically.